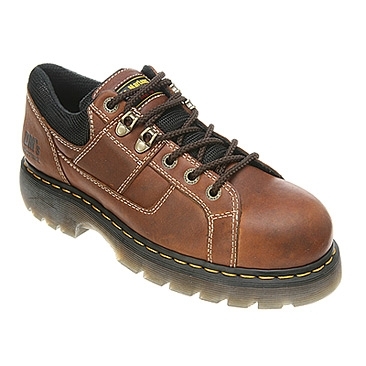 Rule the job site in the Gunby Steel Toe 6 Tie industrial shoe from Dr. Martens. This boot is a water-resistant full grain leather upper covers a protective steel toe, while the moisture-wicking lining, and padded tongue, collar and foot bed provide all-day comfort. The Air Cushioned out sole is slip-resistant and absorbs shock; these hardworking shoes also EH rated.